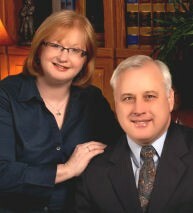 Gary & Debbie serve people around the world through Global University and its 235 national offices. We focus on Winning the Lost and Training the Found! Beginning with evangelism and moving seamlessly up to the graduate levels. Cuba Bible College, Iran Bible College, and Vietnam Bible Training Network are three of our many outreaches. Contact us for more information about these and other missions projects. Additionally, we reach and serve people in "Sensitive Countries" using appropriate means according to their context.